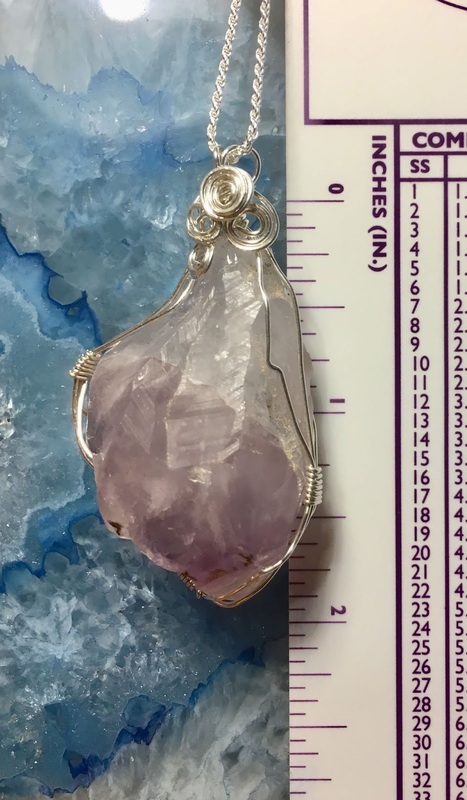 Amethyst is a type of quartz. typically forms in crystal clusters in geodes. 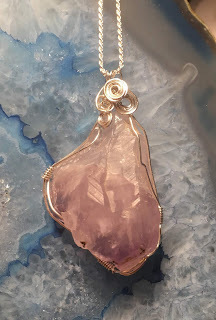 Amethyst can also be found opencast in veins and in druzy cavities in larger rocks. The size and color of the points vary, which dictates the value of the stone. you can see the points, or 'teeth' and how they fit together like a puzzle piece. providing a beautiful sample to wrap! 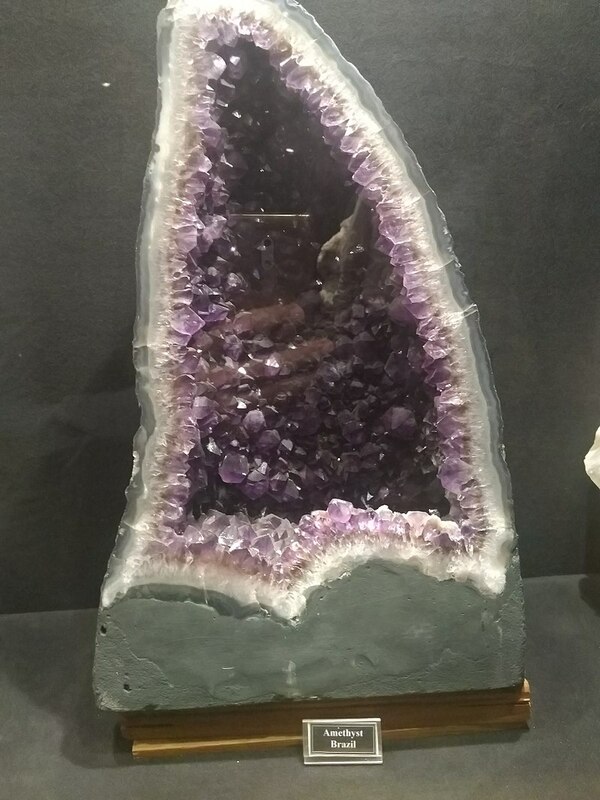 Thus is the case with this piece of amethyst. I have a collection of points that I use to wrap as jewelry, pendulums or to use as a pocket stone or a stone for a medicine bag. This made a really big, fun pendant with a simple hippie wrap. Amethyst is and artist stone, promoting creativity. The shape of this stone, the textures, the lines not only peak a creative interest in me, but also satisfy a my tactile nature. How do you keep your amethyst points? In your pocket, in a pouch as a pendant?